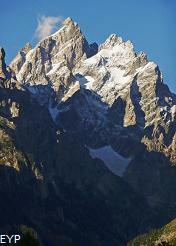 Grand Teton Peak in Grand Teton National Park rises 13,770 feet! 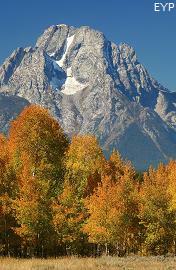 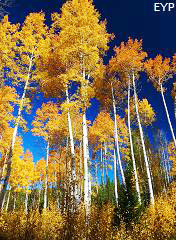 Grand Teton National Park is home to one of the most magnificent mountain ranges on earth. 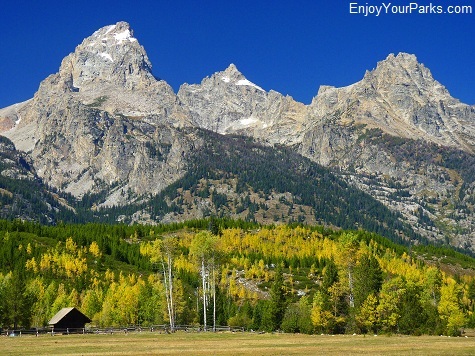 The Teton Range is not only a mountain climber's paradise, but it is also so picturesque you'll swear that you've walked right into a beautiful post card! 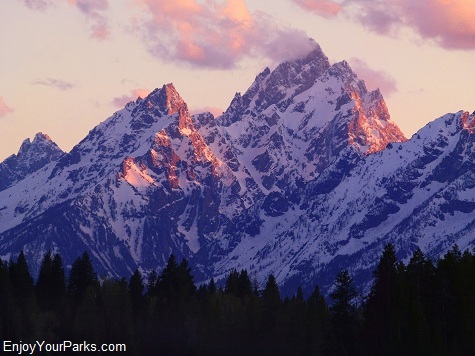 Grand Teton National Park is breathtaking, awe-inspiring and majestic, and it's all yours to explore and discover. 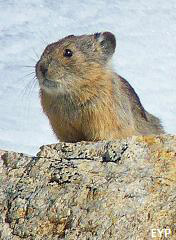 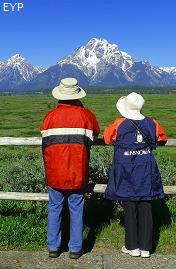 We absolutely love Grand Teton National Park and we're really excited to share everything we know about it with you! 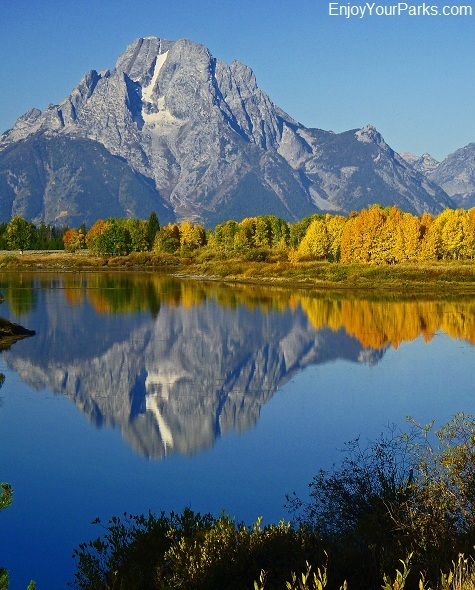 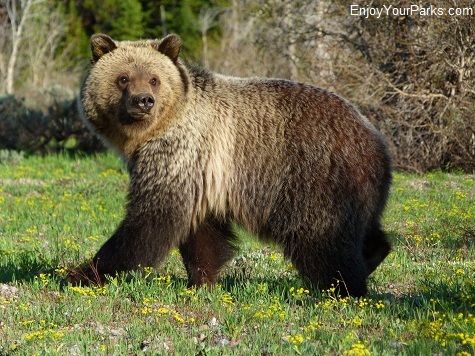 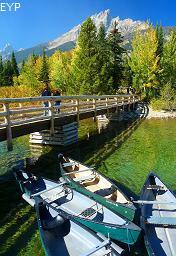 Click the following buttons to learn all about Grand Teton National Park, including the Best Hikes in Grand Teton National Park. 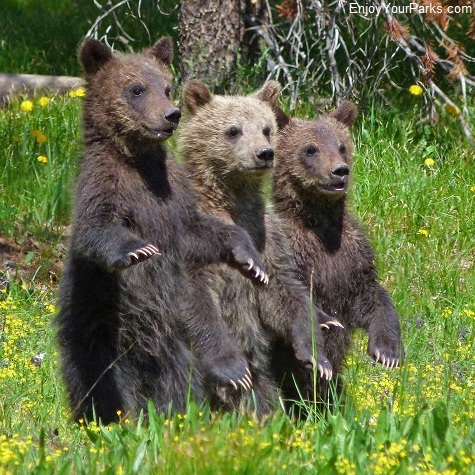 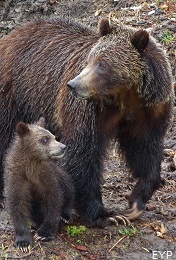 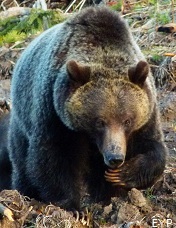 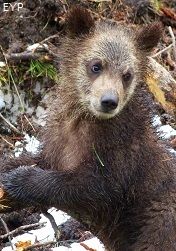 These grizzly bear triplets are the cubs of the famous grizzly known as "399", and were photographed near Jackson Lake Lodge. 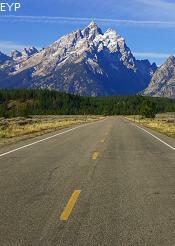 What's so great about this jagged mountain range is that there are no foothills. 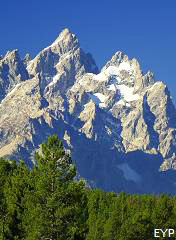 The east front of the Teton Range is practically flat as a pancake (average elevation 6,800 feet) until the Teton Range begins soaring seemingly straight up to the heavens. 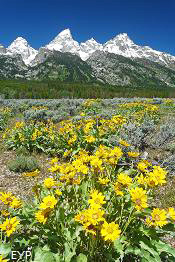 This made it very easy for the Park Service to build a very nice road called the Teton Park Road that practically drives directly underneath this great range. 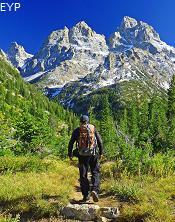 The fact that there are no foothills in Grand Teton National Park also allows for easy access to all of the major canyons of the Tetons, having well established hiking trails working their way up most of them. 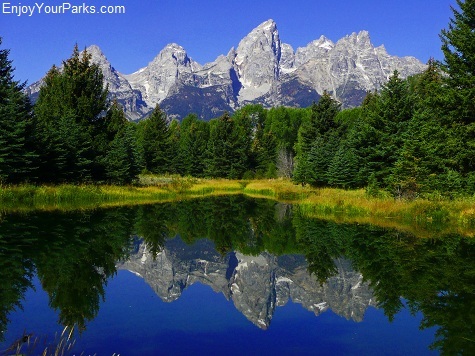 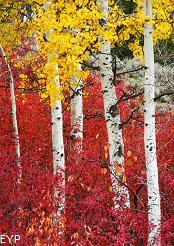 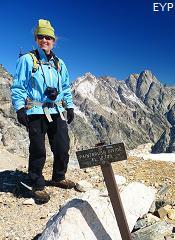 So if you like to hike, you'll love Grand Teton National Park! 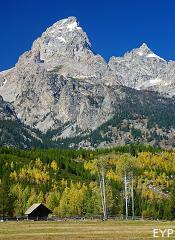 And still yet another tremendous advantage of not having any foothills is that this allows for breathtaking views of the Teton Mountain Range with absolutely no obstructions! 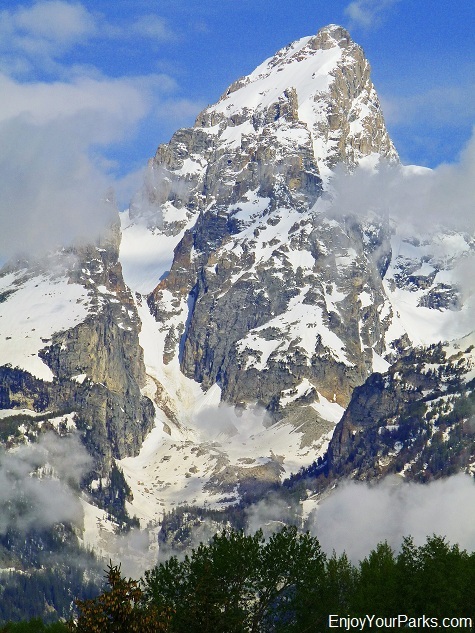 We guarantee you that you will burn through more memory cards taking photos of these mythical mountains than you ever thought possible. 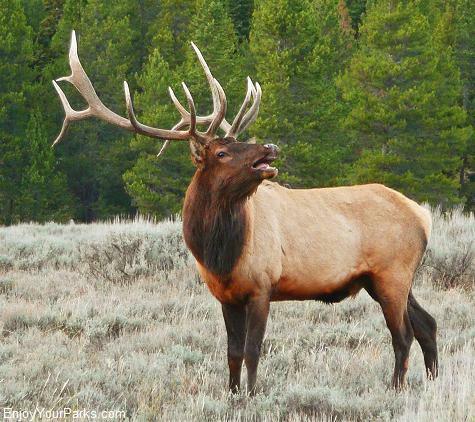 Everywhere you look, there is another amazing photo to take, and that's not even including the amazing wildlife that's found in this magnificent park that we'll tell you about in the upcoming sections. 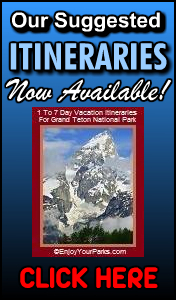 To help maximize your enjoyment on your Grand Teton Park Vacation, we created an E-Book that is devoted to Our Suggested Itineraries for vacationing in Grand Teton National Park. 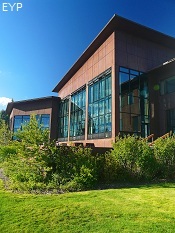 For a list of all of our E-Books, click here. 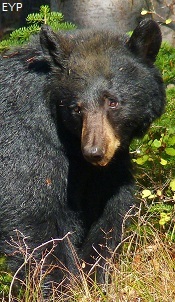 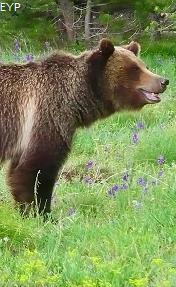 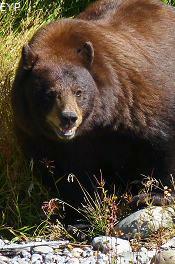 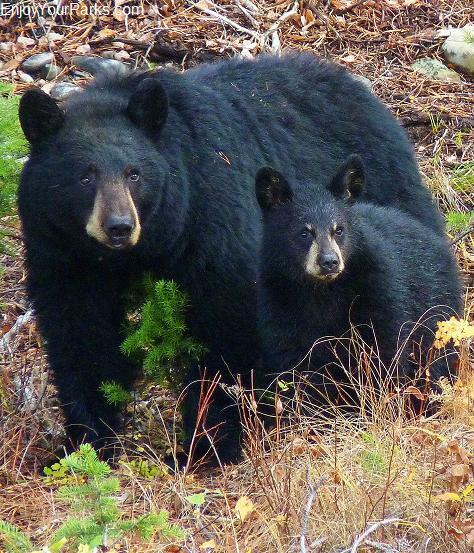 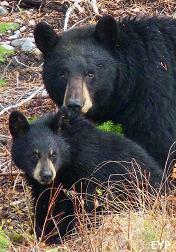 Black bear near Signal Mountain Lodge in Grand Teton National Park. 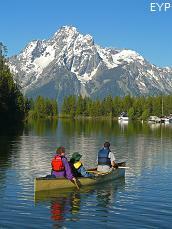 Oxbow Bend, Grand Teton National Park. 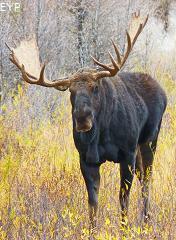 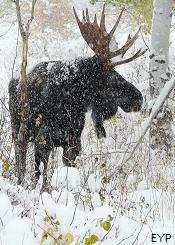 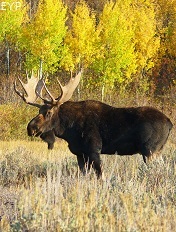 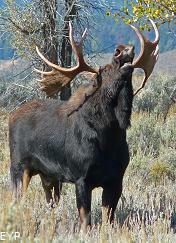 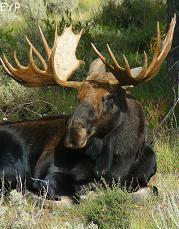 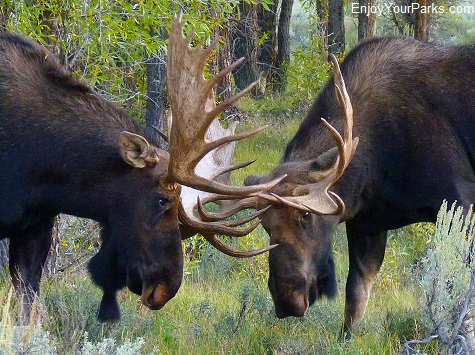 Grand Teton National Park is a great place to see moose! 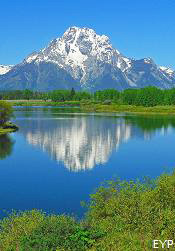 This is a view from Schwabacher Landing in Grand Teton National Park. 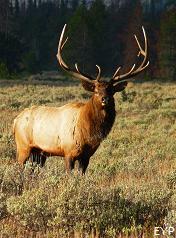 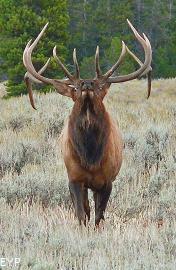 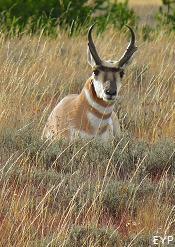 Grand Teton National Park is a great place to see elk! 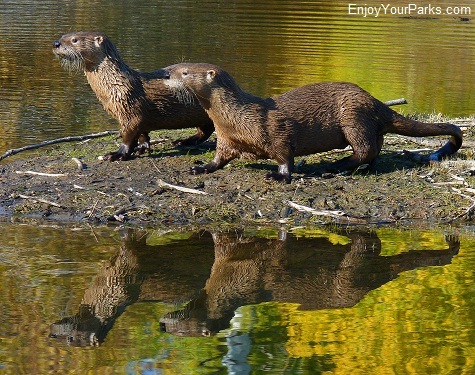 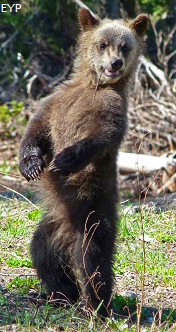 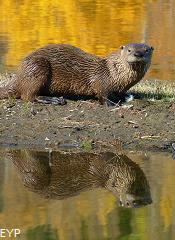 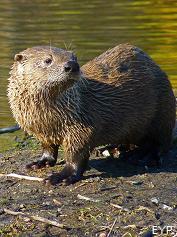 There are plenty of playful river otters in Grand Teton National Park! 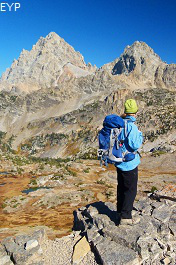 A view near the Taggart Lake Trailhead in Grand Teton National Park. 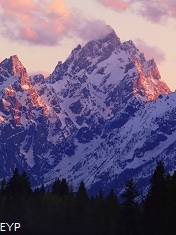 Evening alpenglow on the Cathedral Group in Grand Teton National Park.